The Library Catalog via Primo is available to the public, though many eBooks are limited to Los Alamos researchers. Library Catalog via Primo: Search here for all our books, print and electronic. Advanced search - more precise search, for keywords specifically in title, author, subject, or ISBN. Can limit by Material type "Books"
Browse - for a "begins with" search - good for finding specific items; includes call number and report number searching. Electronic: use the links under View It. Print: Click on Location/Request for details of locations and call number. 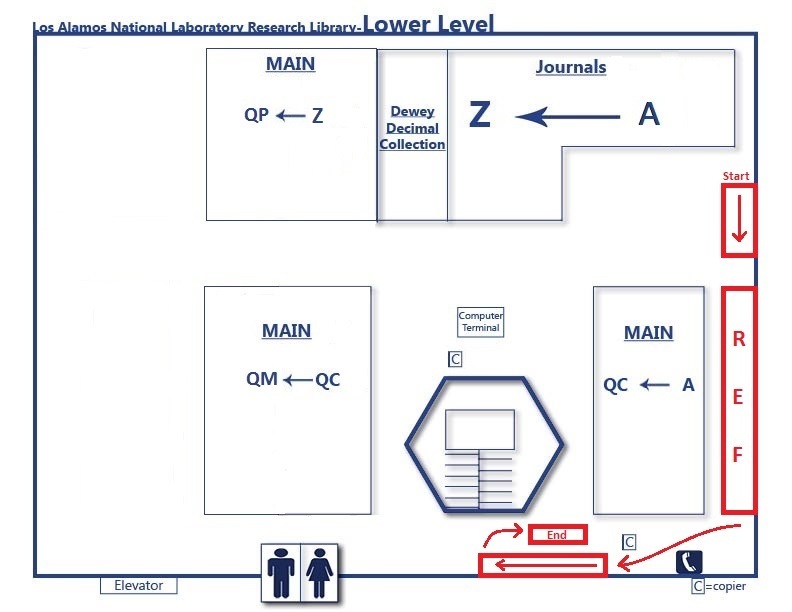 Print books are in collections Main, Dewey and Reference - now all on the lower level (downstairs map).